The Entrepreneur Equation – where were you when I needed you? 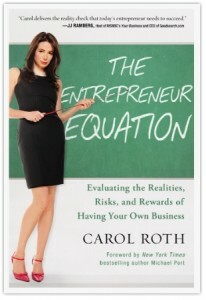 Carol Roth has achieved the impossible: she has made ‘pull no punches reality testing’ exciting and inspiring. My home, office (and bedroom!) are full of books. Before you ask, yes! I have read them all. No, I don’t always get to the end of every single book although I do persist, sometimes past the point of complete energy drain in the hope that there is a point just around the corner. Not so the Entrepreneur Equation. Carol guides the reader through the building of the most important equation any aspiring business owner should try to (re)solve. She has also made it OK to say “running a business is not for me”. In a world where self-employed status is universally considered the holy grail of freedom and independence, which after 20 years I know it is not, it really had to be said in a way that people could relate to and without annihilating the spirit and motivation of the reader. After 20 years and three recessions, I have learned something new too! What do I really like about the book? Carol approaches the subject just like you might approach reality testing in a mediation. You have to build the capacity for realisation with the parties and occasionally just say it like it is. Timing is everything. This book is quite simply a treasure trove of reality testing techniques. Carol builds trust from the first page. Not just through her credentials (which are impressive) but by telling great stories we might all recognise and relate to. She is American. The book is truly international. Not many business books have achieved that. 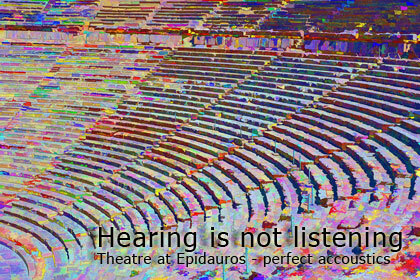 It is absolutely relevant for mediators. This is the best book I have read on entrepreneurship and I am going to include it in course materials for trainee mediators on all future courses to support the sessions we do on building your practice. It would have been easy to write the next ‘how to succeed in 10 easy steps’ but this is worth much, much more, especially if you are thinking about starting a business and equally if your existing business could do with a makeover. Why is that so important? How is that consistent with her passion for building business? And mine too for that matter. Simply because a significant part of the world economy is in the hands of entrepreneurs and small business but progress will be exceedingly slow if over 90% of new businesses continue to fail within 5 years of startup. You may not like everything you learn; you may be surprised at how you feel after completing her assessment of your motivations and resources to build your personal Entrepreneur Equation; you may even think she is painting a harsh picture of what it takes but you will thank her and you will not regret reading the book. A special note for my colleagues: This is essential reading for mediators. So often, mediators miss the point: that when they start out in the business of being a mediator, they are starting out in a business. It seems obvious but obviously not if the emails I receive from many seeking help in getting their practice going are anything to go by! So many expect to be doing more of what they love doing/are good at. They don’t realise that it requires a whole new approach to life, work and the universe! There is no river of mediation work. Carol has some great offers on the book and you should check out her site to pre-order the book which will be published on 22 March but you will have to hurry because the special offers are only valid until 18 February. I love the fact that international orders catered for. Well done Carol! During this week Carol has pledged to match pre-orders with donations to Score to help them on their way to supporting 1 million new businesses by 2017. 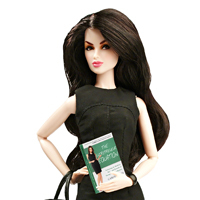 And I love the doll so I have ordered mine and can’t wait for it to arrive. I have to say...I was excited to read this book already (I even pre-ordered a copy) but you have made this wait even harder with a great review! I can't wait to get my hands on a copy, I'm jealous you got one :) Thanks for the review Amanda! All the best! Previous post: Fairly Legal – A Watershed for mediation?